This perennial client knows how to throw an exotic and fun event. Our latest joint venture, staged in a beautiful Georgetown home and garden, perfectly captured A Day in Havana. Vignettes with baskets, plantains, coconuts and coffee beans, vintage travel posters, luggage, and steamer trunks, colorful shutters and straw fedoras transported partygoers to a lush coffee plantation of yesteryear. 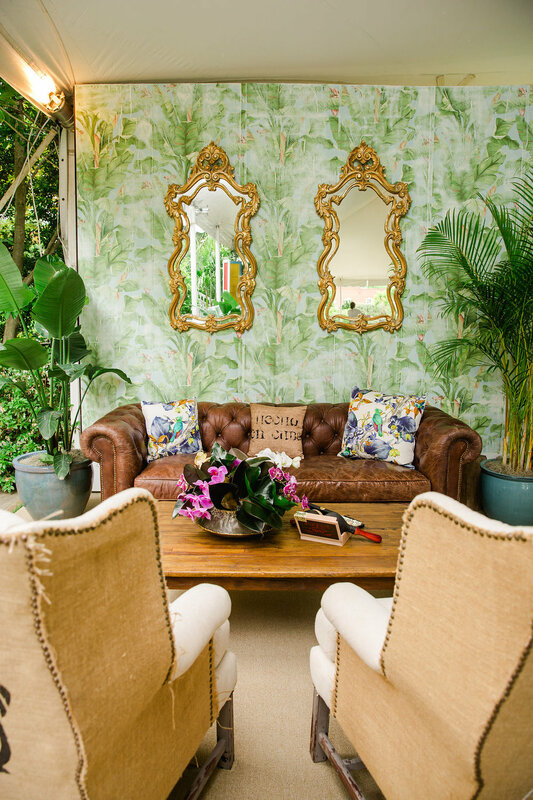 We custom designed archways and bars, transformed furniture with vibrant fabric and color, brought in tropical foliage and filled cigar boxes with florals. An authentic cigar roller, Cuba Libre bar and Cuban coffee station had the guests fully engrossed in the warm Havana vibe.